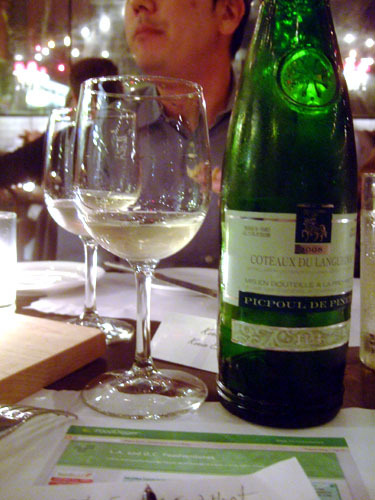 Hugues Beaulieu Picpoul de Pinet, 2008 Languedoc | the wine snob. This week I continue with two recent obsessions- Languedoc aka “the doc” and Spring wines- although I am breaking the Rose trend that I’ve had going for the past two entries. It’s SPRING!! And that means WHITE WINE! This wine with the funny name- Picpoul- is one of my favorite by-the-glass pours we’ve had at Cellar since we opened. We poured it last year and included it in a flight called “whites u been ignoring” after it sat on the list for a few months, quite literally being ignored. Poor little Picpoul. Funny thing happened once we put it on the flight, though- people realized how awesome it was! And it became a favorite. Triumph over adversity- it’s the classic American story. Even though it’s a French wine. People would come in looking for it, and when the 2007 vintage ran out, there was a resounding disappointment heard all through Greene Street. Customers who came in looking for it never remembered what it was called, so they usually said something like, “this wine in the skinny green bottle… I can’t remember the name of it…” and that was my cue that they were looking for the Picpoul. Here it is- a skinny green bottle with a bunch of weird French words on it. Honestly- something that your average wine buyer would likely overlook- or be too scared of- if it were sitting on a shelf somewhere. It’s not really clear WHAT the heck it is. Picpoul? Pinet? What on earth is Coteaux? And how do you say Hugues Beaulieu? All this is just too much. Leave it for the wine nerds. But we need to move past all that. Who cares how to pronounce it. Just call it Picpoul. Pick. Pool. As one of our servers at Cellar says- “This is great pool wine. It’s in the name!” Okay, Sarah- maybe you say it a little cooler than that- but this is a test to see if you actually read my blog like I tell y’all to! 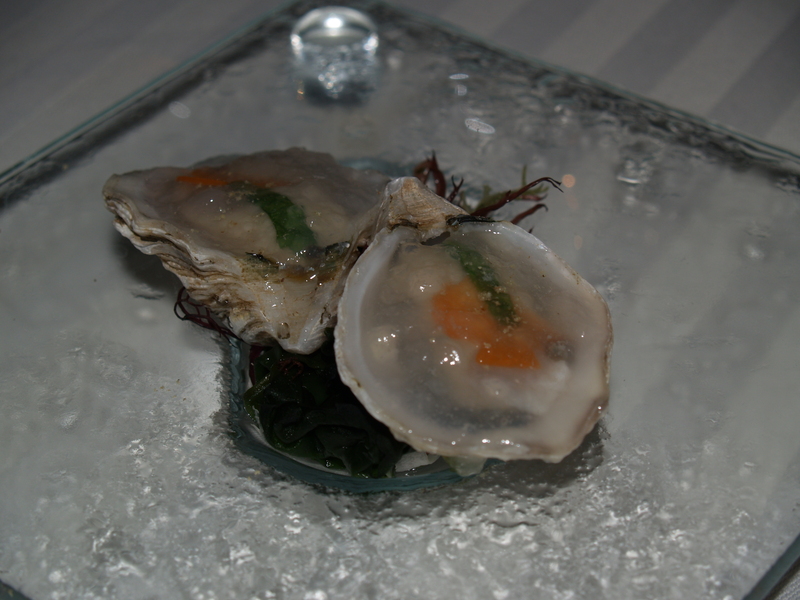 And in a perfect tribute to Mother Nature, it’s no coincidence that Picpoul tastes great with oysters- the village of Pinet overlooks the oyster and mussel farms of Bassin de Thau. Interesting how that works, huh? I think so. I can’t claim to be a subscriber to any theory of intelligent design- but if I were, I would use this as evidence. And that’s all I will say about that. This is a blog about wine, after all. In any case, come taste the Picpoul! You can try it any old night of the week, since it is by-the-glass, or just stop by the Wine Sale this Saturday at Cellar from 12-2, where it will be for sale for an attractive $11!! If you’re not our friend on Facebook, hop on it! I often throw special deals for facebook friends on, so it’s worth paying attention to! Hope to see everyone Saturday- Happy Spring and Happy Drinking! This post did two things. No. Three things. 4. Made Don Looney proud–well written. Glad you liked it! Funny thing- I never had a class with Don Looney. I feel like I missed out.